Our lives are filled with landmarks. And just like the sites that dot our landscape, these moments dot our lives, creating the definition of who we are. For me, I can see them like a map spread out in front of me from movies to TV shows to experiences to relationships to plays to books… oh… a lot of books. I was the kid who would come home with a pile of library books each weekend, who later would take his bike out to only ride to libraries, having three in my vicinity to choose from with a separate card for each. If I could have had a collection of cards with aliases I would have done it. See, I would lose summer days just wandering through the aisles like visiting old friends, allowing my fingers to grace along the covers as I walked past, secretly hoping that a book would reach out and grab me. I always get a little sentimental when a book is released (A Jane Austen Daydream). I can’t help it. This is a new kind of landmark; I’m adding to my own landscape now. And if I am lucky my work might find its way on to another’s map. See, that is the thing for me. It’s not about money, it never was. It was always about the love of a good yarn, with surprises and new adventures. When I look back at my life there are five books that stand out the most in inspiring me. This is not to say they are my favorites, or what I consider the greatest works; no, not at all. They are just the ones that grabbed me just when I needed them to. I want to see the world like Ray Bradbury did. 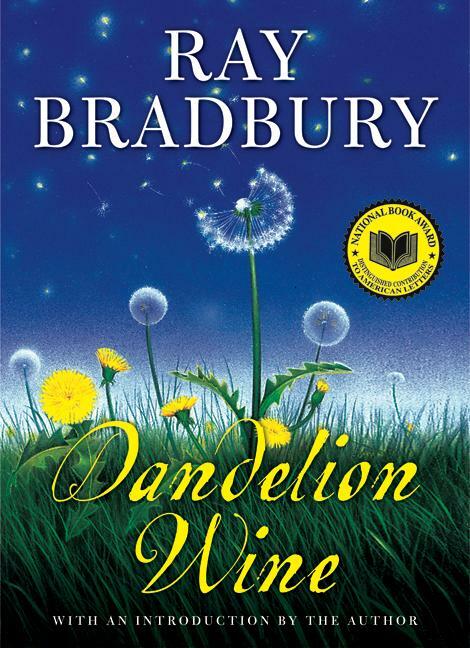 Dandelion Wine is how the world and life should be, with each hour a piece of magic and every life having a special meaning or purpose. From its rich opening of little Douglas “awakening” the town, you know you have something special here. It is realism fantasy at its highest and you can feel the town in your skin, smell it in the air, taste it with the turn of each new page. What an incredible gift Bradbury gave us with this book! I remember when I found this book. I was going through a Bradbury stage as a teenager and it was simply next on my list of reads. No, biggie. I had no idea what it was about other than it was Mr. Bradbury. 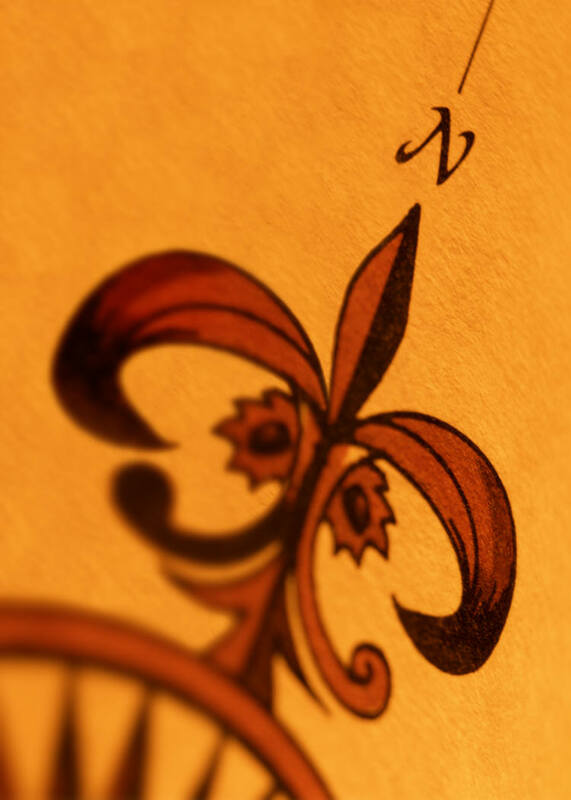 But instead of rockets and horrors, I was given something so much more… magical. He was giving me the world back, not in all its dirtiness or grim or sadness, but one of beautiful possibility. And this is a world I could experience just by leaving my house. I didn’t need a rocket to get there. He taught me I could create something magical without having to have something outside the realm of our reality. Our world, our planet, our reality was enough; let me correct that, is enough, could always be enough. I can’t begin to count the many times I have returned to Green Town, finding inspiration in just the littlest turn of phrase by Bradbury (and few writers are as colorful in their prose as him). When I first exchanged letters with Mr. Bradbury, I thanked him for this book. There is a lot I don’t agree with Lewis about. I’m not religious like he is and I find The Last Battle, the last book in the Narnia series, highly disturbing (imagine what that poor mother experienced when almost all of her children died in that train wreck! ), but this book was a defining moment for me. 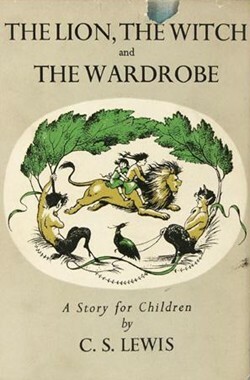 I remember clearly reading this for the first time and when Lucy stepped through the wardrobe, I was transported as well, only with difficulty making my own way back (some would say I am still gone). It is a standard of children literature for a child to be transported to another land where they are special (from Alice to Peter Pan to Harry Potter), I get that, but there is something so natural, so wonderful about Lucy and her siblings and their journey of discovery. It opened my mind to the sheer possibility of fiction. Anything can happen as long as it is explained in the universe of the story. Of course, I know it is not real, but that doesn’t stop me from checking the occasional closet from time to time, rapping my knuckles against the wood at least three times. There is going to come a day sometime in the future where I will read this book to my son and daughter, and I will cry. I know I will. I do every time the story starts, but this time it will be more because my time for going to Narnia will be gone… but maybe… just maybe… they will find the closet I never could. I secretly hope they do. 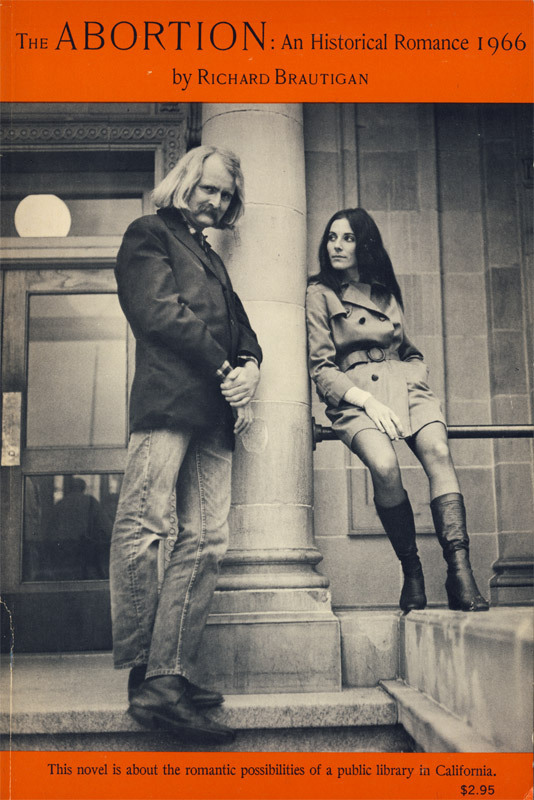 Richard Brautigan has kind of disappeared, but considering how he ended his life, maybe it is what he wanted. For a time, he was an underground leader in literature. He was big, and had the potential to be bigger. Well, the Beatles produced an album of him reading his stories. I kid you not! The album is so out there and trippy that at one point he stops speaking to answer a phone call (we hear the conversation) and then he returns. Trout Fishing in America is his most popular book (which you can only get today in a collection of his novels). But for me, the book that stands out is The Abortion. When I read The Abortion, I don’t just read it, I digest it. It is impossible for me to just put a bookmark in it and walk away. Underneath the novel about a relationship is the idea of a love of literature. See, the narrator (who is never given a name) is the lone librarian of a special library for unpublished books. Any book can be dropped off, and they are placed where the author wants them to be; each having their own special home just waiting for them. Some might find this depressing, but I find this such a beautiful way to look at writing, a home for every book. I found this book when I was in high school and was very moved by it. Maybe it was the idea of the books, or maybe it was the idea of the most beautiful woman in the world falling in love with a lover of books like the narrator (or like me). Whatever the case, it is Brautigan’s honest writing, and beautiful pacing that keeps bringing me back. He uses just the right amount of words, so precise. I hope people discover his books again. Until then, they will reside in libraries, just like his in this book, waiting. There are few writers more important to my own voice than Mr. Vonnegut. Format-wise, I love the structure of it with its little chapters; it is filled with wonderful minor characters; it is rooted in a fascinating philosophy (that is honestly said to be a collection of lies); and the world ends. 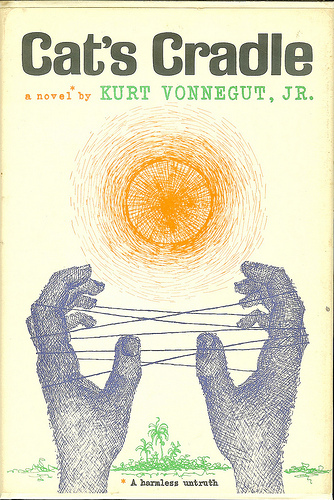 Of all of Vonnegut’s books, this is the one I wish I wrote. I’ve owned about a half-dozen copies of this book in my life, and I’ve given every single one of them away as a present. Sooner or later, I’m sure, I’ll buy another one… and give it away again later. Pride and Prejudice taught me how to write female characters. I can’t put my finger on exactly how, nor do I think I would want to. There is a certain unexplained joy to creation and I think overanalyzing the solo experience might in the long run take away from it. Whatever the case, I can see in my writing before and after Austen arrived in my life. It was a great present she gave me with this book. 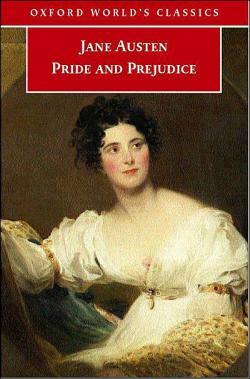 Before Pride and Prejudice would I have ever considered a book like Megan where the entire work is told from the perspective of a woman? No, definitely not. But post-Austen, I felt confident enough to do it. Yes, Jane gave me the confidence to do that work, but also A Jane Austen Daydream. My writing reached a different level because of this book. I’ve read this book numerous times, and have even been known to randomly quote from it. Sometimes as a test for the person I am speaking to, other times just because I like it. I’ve said this a dozen times, and will continue to do so, but this is one of two perfect books in literature (the other being A Christmas Carol by Charles Dickens). If all you know is the movies or shows, do yourself a favor; turn off the television and pick this up. Maybe a new landmark is waiting for you? If you liked reading this post, why not check out one of my books? (they are good, I swear!) I’ve had four novels published in the last few years, A Jane Austen Daydream, Maximilian Standforth and the Case of the Dangerous Dare, My Problem With Doors and Megan. You can find them via my amazon.com author page here, or as an eBook on Google eBooks here. Thanks for reading! This entry was posted in Books and tagged Austen, Books, Bradbury, Brautigan, Cat's Cradle, Dandelion Wine, Fiction, Growing Up, Lewis, Libraries, Literature, Novels, Pride and Prejdudice, reading, The Abortion, The Lion, the Witch and the Wardrobe, Vonnegut by Scott D. Southard. Bookmark the permalink. Cool. Happy reading, I’m jealous you get to experience them for the first time. 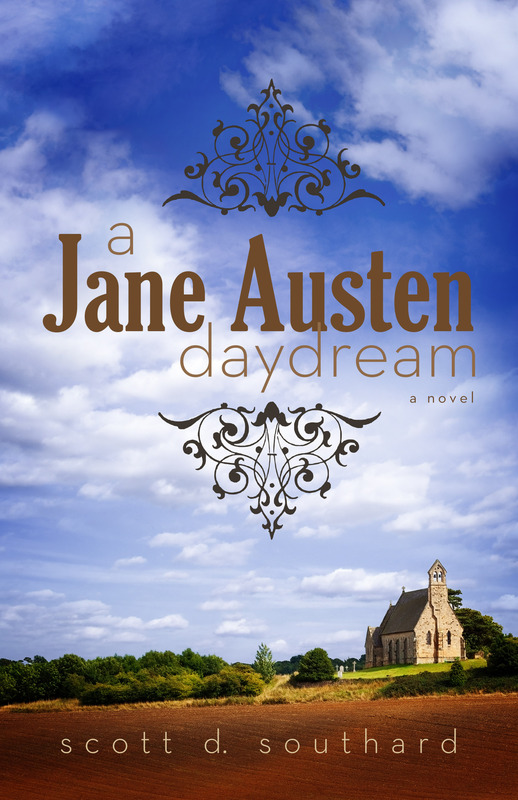 Of course, it would be smarter for me to recommend you read A JANE AUSTEN DAYDREAM first which comes out on April 30. Love this post! Great suggestions, and as I head into my last term of the school year, some title for my “To Read” pile, including yours! Great! I hope you them (and my book too). The first two are in my top five books for exactly the same reasons. You’ve inspired me to reread Dandelion Wine aand read Richard Brautigan, I am currently reading The Hero’s Guide to Saving Your Kingdom and I am loving it. I borrowed it as an ebook from the LA Pubblic Library because it was next month’s Reading to Kids 4th Grade book. Thanks for this post. The passion you have for each of these books really shines and makes me want to read them, which is, of course, what a good review does. Well done! Great! Thanks. I hope you like them!